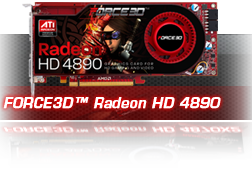 Force3D™ launch the Force3D™ Radeon HD 5770 & Radeon HD 5750 with complete DirectX 11 support and the world’s most advanced graphics, display and memory technologies. 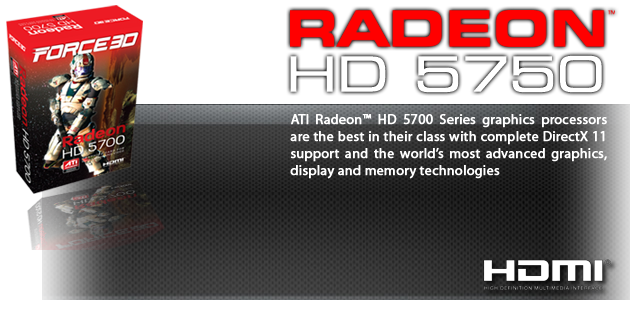 Now, more people than ever can experience real innovation in DirectX® 11 gaming with ATI Radeon™ HD 5700 Series graphics processors. Loaded with advanced technology, these GPUs have the power and premium features you need for fully immersive gameplay. 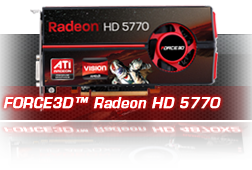 With Force3D™ Radeon HD5770 and Radeon HD 5750 gamers can get a truly immersive entertainment (gaming and video) experience and help boost productivity (home and office) with ATI Eyefinity Technology, extreme multi-monitor support. 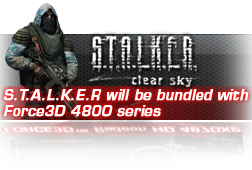 Enhance your everyday computing experience and get more than just gaming performance out of your graphics processor with incredible performance for the latest and greatest PC games at the high resolutions and maximum settings.